HA Motorsports specially prepared Hondata S300J Ready P08/P70 spec OBD1 JDM ECU. 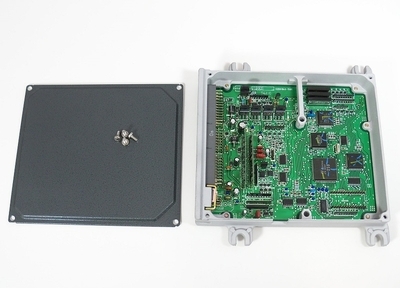 This is the JDM style (square case) OBD1 VTEC ECU that is compatible with the S300J system. This ECU will NOT fit the standard S300 system, only the S300J. This ECU is fully socketed to accept the S300J. Simply unscrew the top cover, insert your S300J onto the header pins/socket, then screw the top cover back on. This is the ECU ONLY. The S300J is NOT included. This ECU will not work without the S300J. If you have a JDM ECU that has an S300J already installed, and the ECU has failed, you can use this ECU to get up and going quickly. Simply insert your S300J onto the pre-installed header pins in this ECU, reinstall the top cover, and you are good to go with the new ECU!